Grab a friend and let’s escape jail. Today at the EA Play conference, the creators of Brothers – A Tale of Two Sons, announced their newest game. 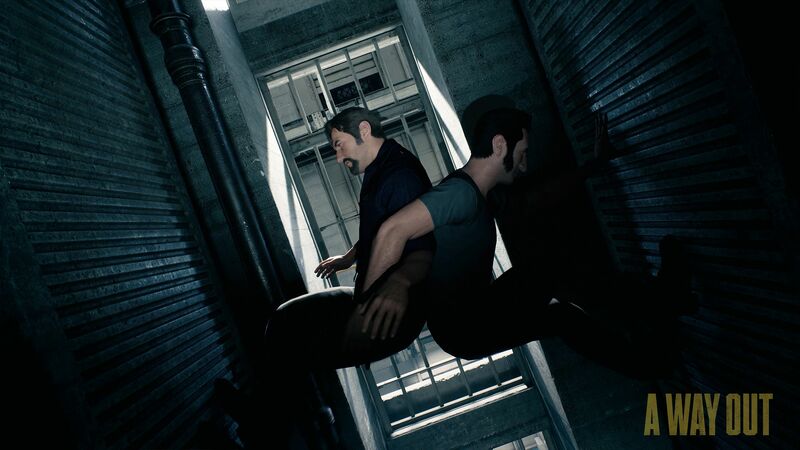 A Way Out is a cooperative game focused on Leo and Vincent, two inmates who team up to escape their prison lives. The developers of the game will be bringing a new kind of co-op game to the market. In fact, the only possible way to play A Way Out will be with a friend. The game features a split-screen story even when playing online. One of the cooler things I saw in the trailer was seeing one player in the middle of a cinematic scene and the other still playing. The trailer shows how problems will be taken care of differently between the players. One way could be an indirect way where you can sneak around or bribe your way past it, or a more direct way would be to knockout the opposition. It was not made clear to me if this is tied to the characters and one will always fight, while the other always tries to get around by other means, or if it is completely up to the player, but I love that kind of gameplay. The whole game does not take place in prison. There are a number of environments the two will travel through including forests and quite a few areas with different police officers the escapees will need to get past. The trailer shows car chase scenes, sliding down a roof, and other high action, high tension moments. Like Brothers, expect A Way Out to feature deep emotional moments. The trailer gives a brief glimpse that we will have a look into both characters personal lives. One shot shows Leo hugging his kid, and another with both guys in a hospital with what appears to be Vincent’s wife and newborn child. In my opinion, this was the best game shown from EA. I am always excited to play a new co-op game and this one looks like it will be especially interesting. Lovers of cooperative games like me will be able to download A Way Out early next year on PC, Xbox One, and Playstation 4.